A fairly steady but dry(!) day to conclude the month and it was good to see Iris back out in service following conversion work to change the old failed dynamo to an alternator, the same as other types of DMUs. The Buffet did particularly well compared with previous Thursdays and they had picked up quite a bit of passing trade as well which is positive. The Maintenance Team prepared for the weekend and put a three car together as well as pulled EVRA's CK out for examination over the weekend. No.3 was steamed up to test a repair ready for the weekend too. The PW team were on the shovels today, fettling ballast dropped yesterday in preparation for the cross levels to be attended to next week. We also had a MTT customer on site, doing laser measurement demonstrations to their clients. 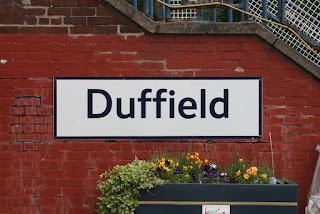 The rain held off to produce a fine day with passengers enjoying the ride to Duffield, using the buffet and buying products in the gift shop. 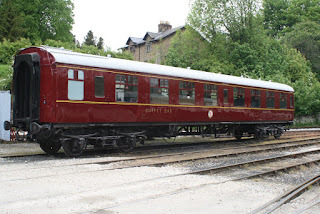 There were several bookings for the Curry train on 6th August which comes as part of the Diesel Weekend (www.e-v-r.com/dieselweekend) as well as some more bookings for Afternoon Tea. Down the yard, the DMU team worked on the roof of the Derby Lightweight power car and also on the PW Bubble, which has received more sanding. Faraday was also being fettled following the installation of refurbished injectors yesterday. I am used to writing progress reports on Bank Holidays when the weather was typically cold, wet and possibly windy. Well today went one better and we experienced the four seasons with warm sunshine, torrential rain, hailstones, thunder, lighting and flash flooding! Despite the weather we still enjoyed a fair number of visitors travelling on our scheduled Duffield service. Thanks go to Pat, Chris and Robert who ensured our passengers were well looked after during a monsoon at Shottle and were able to complete their journey safely. In the training room John B delivered a first aid course to volunteers from the Operations Department. Down the yard the DMU Restoration Group and Tim Oakes et al were gainfully employed on their respective projects. Supporting today's Duffield service were the EVRA Shop, Model Railway and Pullman Buffet. 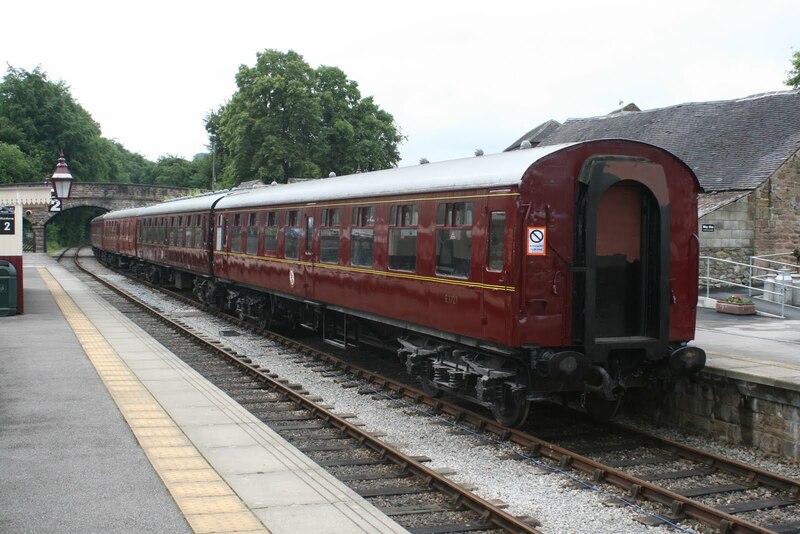 The attached photo is of 'the Bubble Car' arriving at a stormy Wirksworth Station. Fairly quiet at the railway today with just a few pockets of activity. The Station Team repaired the Gents step and also replaced a block of wood which holds a lamp up that had gone rotten. They then moved on to the guttering on the Platform 2 shelter which is being replaced due to continued leakage. 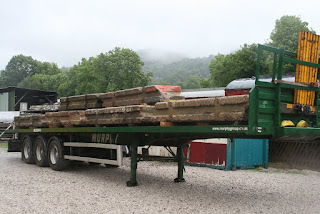 The Infrastructure Manager had a day of paperwork but he also measured up for a couple of new gates for the north foot crossing at Wirksworth Station as both of those gates have fallen apart with age. Down the yard, work continued on the PW Bubble with welding repairs to the curved section where the fibreglass dome joins the roof. The priority is to get the dome back on to waterproof the vehicle. Some sanding has revealed some past liveries (photo attached). The Catering Manager reported his booking hotline to be red hot with Tea and Evening Meal bookings, including a party of 16 for Afternoon Tea in early August. With no train movements today opportunity was taken be a customer to test an experimental lazer wheel and tyre measurement device using the stock berthed in Platform 1. Quite a muggy day today which saw a steady number use the train. Today won't break any records by a long way but it wasn't the quietest day of the month. Rather unusually and certainly for the first time this season, 100% of passengers today started their journey at Wirksworth. 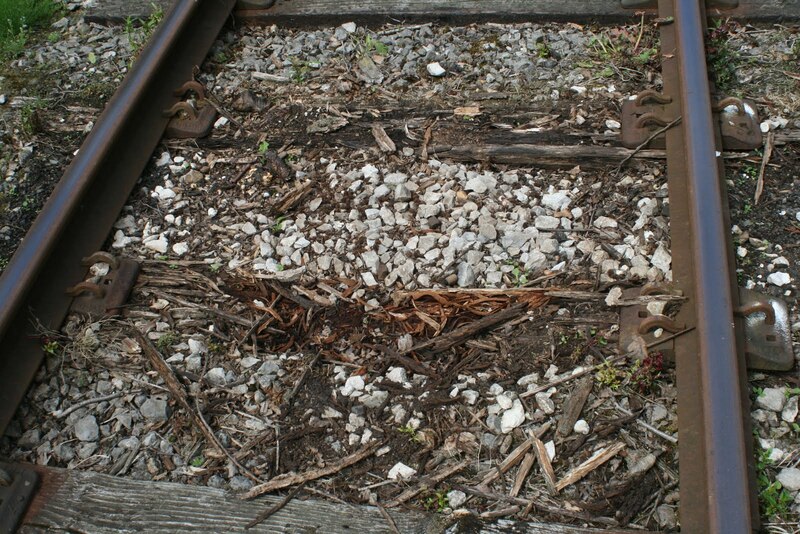 The PW team were working down the line and managed to finish off the last 5 sleepers on the stretch south of Hazelwood. They've changed a very large amount over the last few weeks and will likely be relieved to have finished this. A delivery of ballast was received also to keep them busy next week. The DMU Team continued their investigations as to why No.1 engine on 50253 won't run properly as well as continuing with the C examination on 51505. Dan was spotted working in the empty compartments on BSK 34625 as they start to go back together. The photo illustrates why so much energy is being put into permanent way renewals much enhanced by EVRA's funding of the necessary materials. The videos show yesterday's tea train passing through the sylvern setting of Barnsley Lane and Derby Station on a sunny Sunday in May. A slow start to the day but eventually our visitors ventured out to enjoy the dry weather resulting in reasonably good loadings from lunchtime onwards. 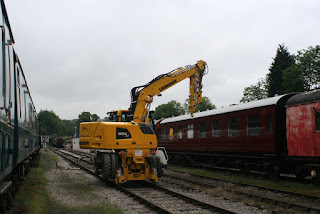 Due to other railway related events taking place around the region we were thin on the ground with volunteers but projects still continued progressing with both the LMSCA and the Duke's restoration team in attendance. Today's service was supported by the model railway and EVRA shop. 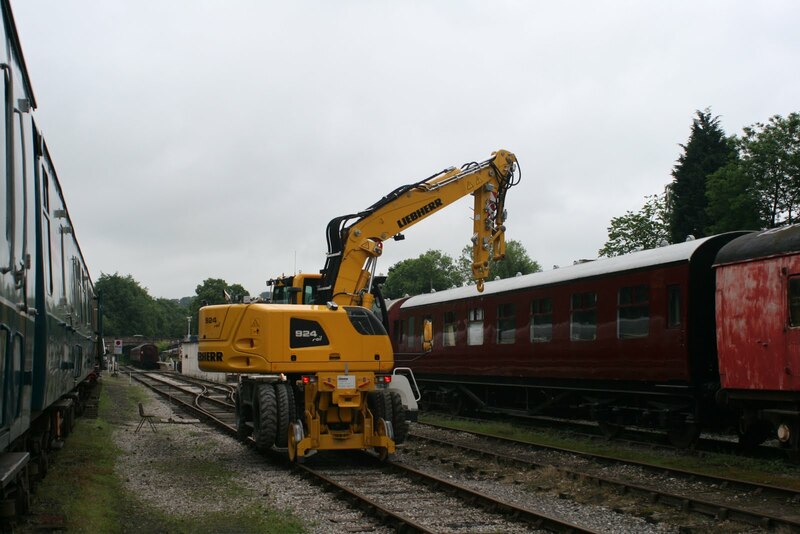 A sign of progress is the ever increasing number of servicable locomotive hauled coaches saw five fielded last Tuesday. A nice iniative has seen a new poster majoring on our catering offers appearing outside Wirksworth's Booking Hall thanks to Eric, Derek and Dan. PS - two moving pictures for you showing Sheffield Midland Station last Monday and the busy scene at Cathedral Square, the Stagecoach Supertram hub in Sheffield. Today the railway became a sanctuary for dripping holidaymakers as the day started with very heavy rain. To be honest it always disappoints me to wake up to that weather because I assume it is going to be a quiet day on the trains. I think it wasn't too bad considering the circumstances. The DMU team prepared vehicles for the weekend whilst Derek and Dan were putting the compartments back together on the BSK. The PW team were continuing their mammoth maintenance task down at Hazelwood. A heritage sign has been donated and put up near the Booking Office. Attached is a nice picture when the sun did actually come out. We welcomed Leibherr to Wirksworth this week to put their machine through its paces ably hosted by John Evans. For something completely different you may spot a brief encounter moment! 28.6 degrees celcius in the Booking Office's outdoor thermometer today but it didn't deter the passengers. Sure, 55006 handled the load admirably but it was reasonable all day. The PW team even had time to trip the water tank to Duffield. 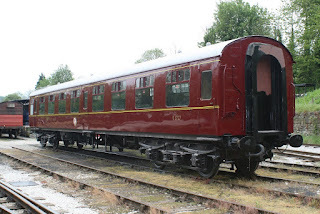 The Maintenance team did the axle boxes on the CK coach and shunted things for the weekend. 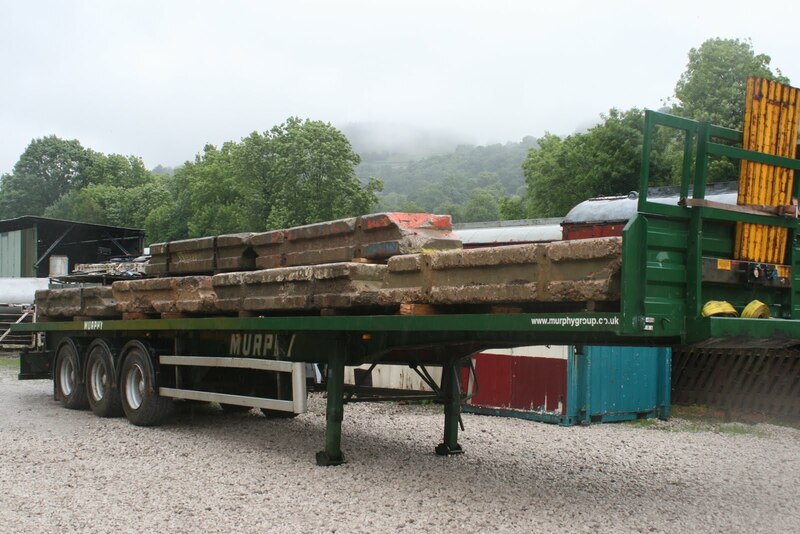 The Pway team continued changing sleepers at Hazelwood. The four maroon coaches had their regular Wednesday hoover and clean. As Chris Rall's delightful photos of progress at Duffield don't reach our entire audience I have attached one of them that shows the spectacular progress being made at Duffield. I have been experimenting with editing sound recordings taken in the 60s and attach one of the LCGB tour in October 1965 which visited Wirksworth. This was recorded on a reel to reel Philips battery recorder and over time was transferred to cassette and finally to a digital version. The 4F that hauled the train has a distinct sound and the coach next to the engine, a Stanier BSK, had been recently overhauled at Derby C&W Works and the lighting dynamo had been reconditioned emitting a distinct sound too. If this is your era just shut your eyes and enjoy 15 minutes recorded 51 years ago when Idridgehay and Gorsey Bank had crossing keepers and semaphore signals. The little amount of speech on the tape is me at the age of 20! - as my wife often reminds me this was before she was born. A gloriously hot and sunny day down on the railway today with once again the Catering Dept putting in the sterling performance. It was very very warm on board that Afternoon Tea train but yet again it was presented with the usual high standards of care and attention, not to mention friendliness. This is after they served brunch to hungry passengers on the first service of the day too! Actually, the train was quite busy with ordinary ticket holders with visitors struggling to park at one point. Not quite so many volunteers here compared with other Tuesdays. The PW team were doing the sleeper changing duties down the line, pausing only when the train goes past. Down the yard, the Maintenance Team examined the SO and the steam team steamed up No3 following recent repairs. Cathryn had work undertaken on the axle boxes once more. The LMSCA were busy in the Third Open coach. 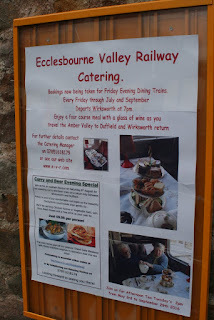 There's also been a noticeable upturn in bookings for the evening dining trains in July and September. Bookings can be put through online at www.e-v-r.com/eveningdining or the Catering Department are happy to take your call should you wish to speak to them. Firstly my apologies for the lack of progress reported on Thursday and Friday. I was busy both evenings! Today was a gloriously sunny and warm day in the Gem of the Peak but unfortunately the good weather didn't exactly translate into passengers. 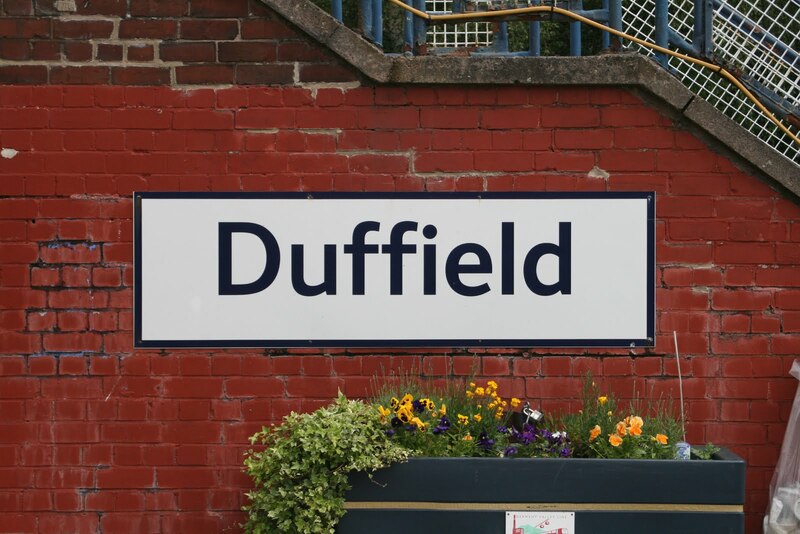 The trains were only steadily loaded but of course, boosted by the pre-booked coach party on the final journey from Duffield at 16:12. That said, it wasn't quiet around Wirksworth Station with many people out for a stroll popping in to the buffet and enjoying a cup of tea and an ice cream in the sunshine on the platform. Down the yard, the PW bubble had further progress with preparing the fibreglass dome for putting back on eventually once all of the metal cant rail has been welded. A start was also made on the cab welding repairs needed on recently resurrected Faraday. 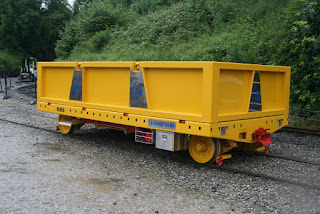 The new owners have set up a Facebook page for those wishing to follow restoration progress on this stalwart shunter and it can be found at https://www.facebook.com/Faraday-Appreciation-Group-1011965475547977/ . Work continued on the replacement door being hung on DMU E51505 and electrical work on M79900 'Iris' also took place. With the dynamo on this vehicle being so obsolete the decision to convert the vehicle to alternators like all of the other DMUs isn't without it's challenges. The first of the alternators is now fitted and it's a case of changing over the regulators and associated wiring. 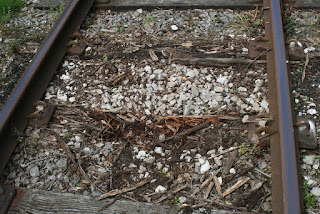 There was an issue delivering your message to martinsmiller.wyvernrail@bloggger.com. This is an 5.1.2 Error. Find out more information about this 5.1.2 bounce message. To receive improved bounce notices in the future, update your preference. The bitterly cold wind did not deter the passengers on the service train as there were above average loadings. It was good to see John Saville back in the booking Office after illness. We were visited by our local MP Patrick McLoughlin who presented us with a cheque for £74500.00 for winning a competition to increase the tourist trade. He visited the site of the new Maintenance Facility extension and had lunch in the Pullman Buffet with his hosts. EVRA's Second Open with buffet counter was gleaming in this morning's grey day. Another product of John Allsop's great painting skill.